Feel the warmth of the spring or summer sun as you glide along, past the dense forests of dark green pines, fields of rainbow-hued wildflowers and dazzling white glaciers. In the clear blue sky, silent eagles circle in search of unsuspecting salmon. Just when it seems like the quietest place on earth, you’ll be startled by the sudden splash of a humpback whale breaking the surface. Cherish every moment you spend on this endlessly fascinating itinerary. From the majestic tip of Mt. McKinley to the jagged edge of the awe-inspiring glaciers, Alaska is unlike any place else in the world. There is no better way to travel into some of the world’s most remote areas than on a beautiful cruise ship. Includes $235 in port charges. Includes $212.48 in cruise taxes. 2 nights hotel in Anchorage before cruise. 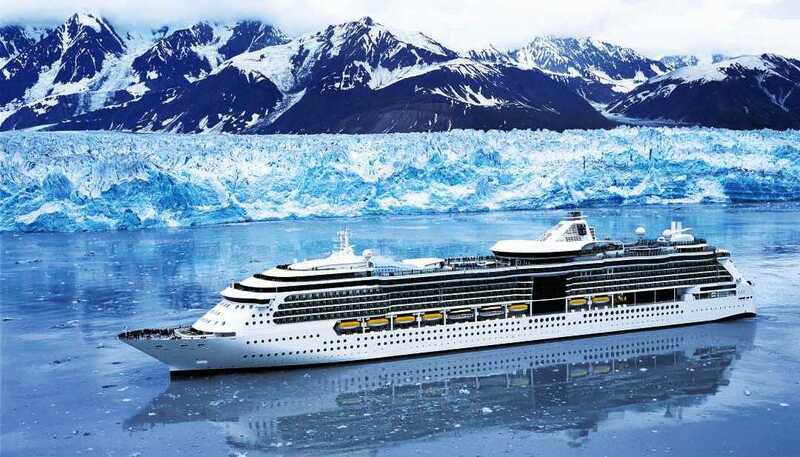 Includes 3 transfers: Anchorage airport to Anchorage hotel – Anchorage hotel to Seward to board ship – Vancouver to Seattle. Shore Excursion Juneau: Whale watching cruise, plus a tour of Juneau and the Mendenhall Glacier. Shore Excursion Skagway: Scenic drive over White Pass Summit to Canada border and city tour. Anchorage full day tour to Talkeetna with jetboat ride on Talkeetna river, also a visit with a ride an Iditarod dog sled site. Fun For Less Tour Staff throughout your cruise, transfers and shore excursions. Private parties and group get-to-gethers. Option to purchase our group airfare. Everyone will need to fly to Anchorage today. Upon arrival you will transfer to your Anchorage hotel where you will spend the next 2 nights. Your full day tour is included today. We will start by driving to a beautiful town called Talkeetna where you will board a boat that will whisk you on the river in comfort. We will make one stop where you may enjoy a leisurely walk to an authentic trapper’s cabin. As you travel ten miles of river you might have opportunities to view nesting bald eagles, see beaver activity, and moose. You just might even see a black or grizzly bear roaming the shore. If we have a clear day then you can stand in the splendor of Denali and the Alaska Range from spectacular vantage points on the Susitna River! After this we will head off to the location of the famous dog race the Iditarod. You will have an opportunity to try and run with the actual Iditarod dogs on a sled with wheels. We will then drive back to Anchorage where you will overnight. 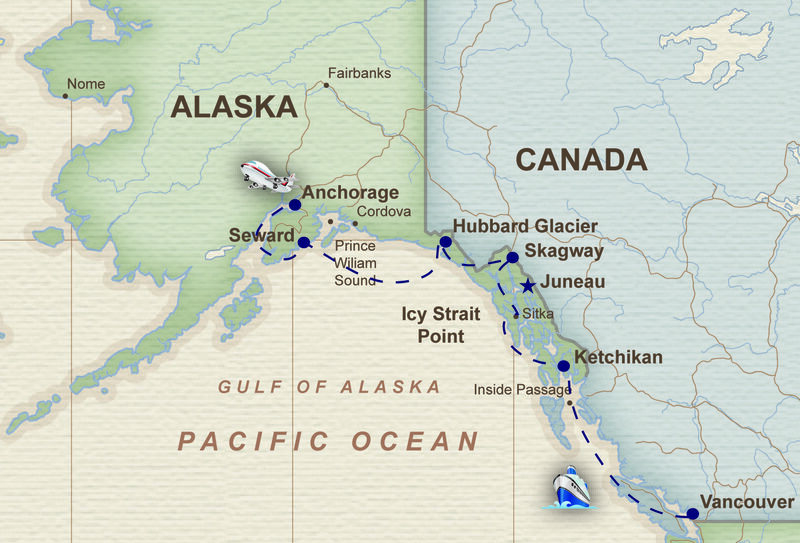 Mid morning we will leave Anchorage and head south to Seward. Enjoy this stunning drive as we travel around 3 hours south to the small town of Seward where we will board our beautiful ship. Today will be another day to enjoy your beautiful cruise ship. Enjoy and marvel at Hubbard Glacier; at both its size and majesty. Today we will have another get together and disembarkation meeting. Today your Mendenhall Glacier/city highlights tour & whale watch combo shore excursion is included with your complete package. 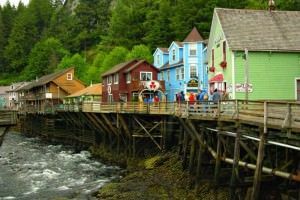 We will begin with a narrated bus tour of historical Juneau with experienced guides. Learn history, development, and colorful local lore! See downtown Juneau, Mendenhall Glacier, University of Alaska, and more. We will spend 45 minutes exploring the Glacier area. (This price does not include the $3.00 per person cost if you would like to go into the Visitor Center). Next we continue to the beautiful Auke Bay (about 15 minutes north of Juneau). 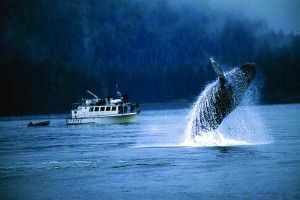 Auke Bay is positioned just about 30 minutes from some of the best feeding grounds for the endangered humpback whale. Humpback whales are most prevalent in the bay, however Orca (killer whales) are often sighted. The jet powered boats get in as close as possible to these gentle giants and then turn off the engines to allow for pictures and more serene experience. You may also view variety of other wildlife such as the harbor seal, bald eagles, stellar sea lions, Dalls porpoises as well as a wide variety of sea birds. We have done this tour many times over the past years with much success; we have never done a tour without seeing several whales. However please remember that these are wild animals and there is no guarantee that you will see any wildlife. Today your Great Frontier shore excursion is included with your complete package. We will relive the days of the Gold Rush in one of our most popular excursions. Exciting points of interest and captivating tales are captures in this intriguing tour of Skagway and its “gold rush” folklore. Our knowledgeable guides have been recognized for their interesting narrative and friendliness. Witness spectacular scenery encountered as you travel up the Klondike Highway to White Pass Summit. This tour runs parallel to the White Pass & Yukon Railroad route providing fascinating sights of the “Trail of ‘98”, Pitchfork Falls, and traversing the unique Moore Creek Bridge. Everyone enjoys the advantage of actually being able to stop at the numerous “photo ops” and breathtaking mountain passes. We will also tour downtown Skagway, visit the Gold Rush Cemetery, as well as a stop at the Skagway Overlook. Please remember to take plenty of film for this most scenic tour “up north”. Please note: Because we go over onto the Canadian side everyone on this tour must have a passport. Today will be a free day to walk around and explore. This is a fun little town and you can either explore on your own or purchase a tour through the cruise line. Either way enjoy this wonderful charming town. Today will be a free day to walk around and enjoy this quaint town. For those who would like we will offer an optional side tour called Misty Fjord Seaplane Adventure. This is one of our most popular tours. The Misty Fjords National Monument is a 2.2 million acre park which was carved by glaciers some 10,000 years ago. During your two hour tour you will see a myriad of crystal clear alpine lakes gouged out by those very glaciers. Halfway through the tour we will land on one of the remote lakes for a stopover. This gives you time to take some pictures in unbelievable scenery. Most of our guests who choose this tour tell us that it was the highlight of the cruise. Ask a Fun for Less Tours Rep about this tour. We will have a get-together and disembarkment meeting today. Enjoy and relax as we sail through the inside passage and the beautiful islands and mountains that are found here. Unfortunately all good things must come to an end. Today we will disembark our beautiful ship and transfer to Seattle airport where we will fly home. This is approximately a 3.5 hour drive. All return flights must be after 6pm so you make it in time.